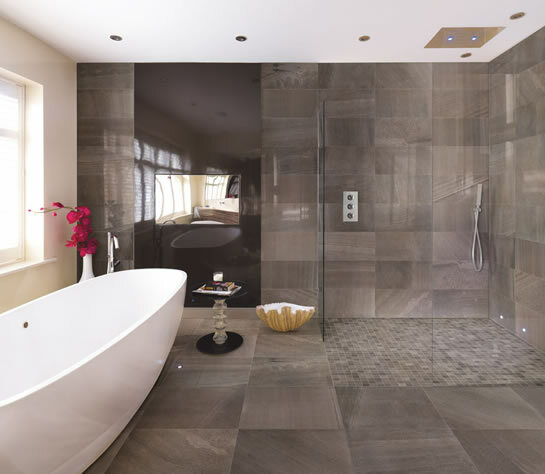 To enhance the appeal of our “Luxury New Build Bathroom Projects” Concept Virtual Design are offering the latest porcelain tile ranges for 2015/6, showcasing new styles, textures ,colours and sizes for luxury bathrooms and large ground floor areas, such as hall ways, kitchen and family areas . Creating an unsurpassed ambiance of serenity and style the tiles are not only sensual but also practical. 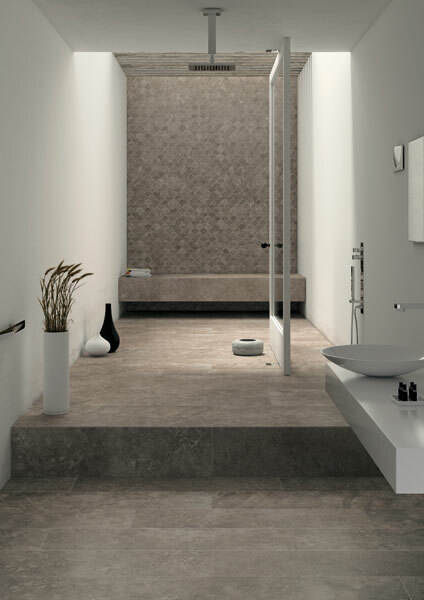 Whilst requiring zero maintenance the tiles contribute to the sense of modernity and sophistication making the bathroom no longer just a bathroom……more an expression of art. The latest in technology, the tiles are digitally printed to create a stunning, visual enhancement – spacious yet intimate. Tone and texture produce the impression of peace whilst being confident of the quality and durability of an ongoing liaison with nature at the same time as knowing that the carbon imprint on the planet is minimal. 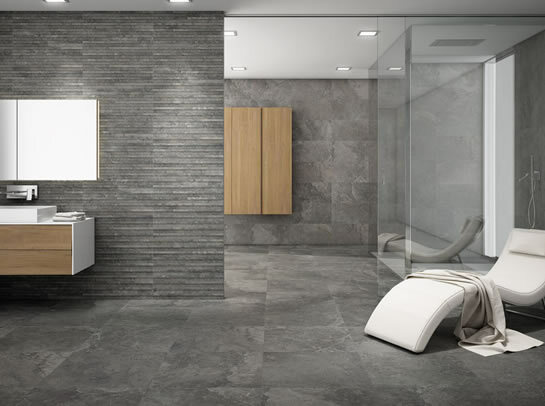 Water can be invasive, but the low water absorption rate of our porcelain tiles means that the tiles stay cleaner longer, a seemingly eternal art form and appreciated for many years to come. This entry was posted in Luxury Bathrooms, New Products and tagged an expression of art, Latest Porcelain Tiles, luxury bathrooms, Porcelain Tiles for Luxury Developments, Sustainable Porcelain Tiles. Bookmark the permalink.